Although it’s definitely retro and not expensively made, this gown has so many of the true-to-style elements that evening frocks from the 1930’s and 1940’s did – I was delighted to see how much they had gotten “right” and couldn’t resist it as a great costume. For Halloween or a historical play it will be lots of fun and fits me well. Posted on September 21, 2017 by Morgana Martin, the magicvintagespy. 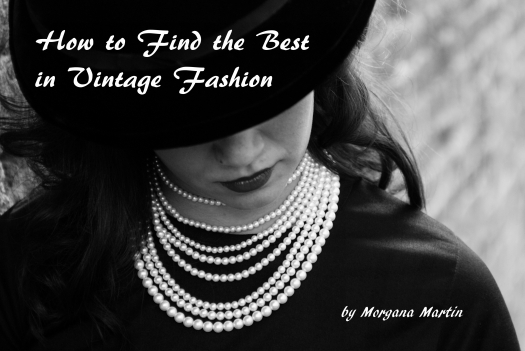 This entry was posted in '30's, '80's, '80's does '40's, classic, clothing, costume, dressy, evening, fashion, find, frock, gown, guidebook, Halloween, ladies, magicvintagespy, photos, retro, rhinestones, Thirties, true vintage, Uncategorized, vintage, vintage blogger, vintage clothing, vintage expert, war-time, WARTIME, women's and tagged '30's, '40's, '80's, '80's does '40's, 1930's, 1930'S, 1940's, 1940s, 1980's, 1980s, classic, clothing, costume, dress, dressy, Eighties Does Forties, evening, fashion, find, formal, Forties, frock, gown, guidebook, Halloween, ladies, ladies', magicvintagespy, Magicvintagespy.com, photos, retro, rhinestones, Thirties, true vintage, Uncategorized, velvet, vintage, vintage blogger, vintage clothing, vintage expert, war-time, WARTIME, women's. Bookmark the permalink.